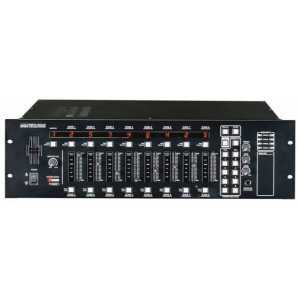 The PX-8000 is an easy-to-operate 8x8 matrix mixer/controller that is usable with or without remote modules. The PX-8000 and related components provide the latest technology combined with ease of operation to create a system that offers enormous capability and flexibility. Local audio sources may be sent to any combination of up to eight remote zones and can do so with either local or remote control. This type of flexibility makes this product ideal for any type of multi-zone system, including hotels, airports, casinos, hospitals, conference centers, and restaurants. The remote devices ensure that the right amount of control is located in the correct locations throughout a facility. 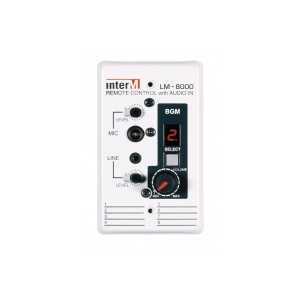 The unit features local and remote paging capabilities with priority control. Each of the eight output zones is capable of being controlled by a remote station. A monitor speaker is built in for local signal monitoring at the controller. 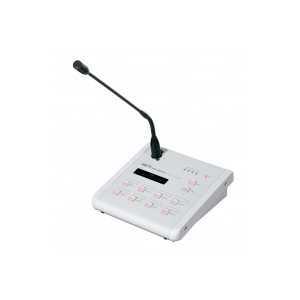 Phantom power is provided for use of condenser microphones. The unit has both bass and treble tone controls per channel. The PX-8000 is powered by 100-120VAC or 220-240VAC 50/60Hz (depending on country requirements). The unit is packaged in a 5.25" high (3RU) rack-mount enclosure.